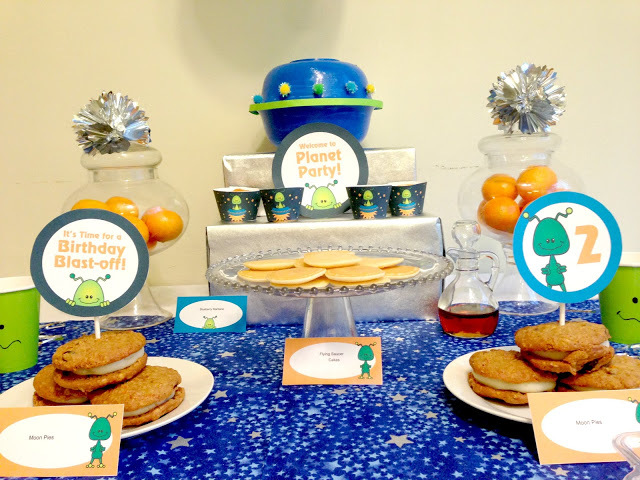 With this budget challenge, every participant gets to pick the Spaceships and Laser Beams collection of their choice and decide whether to do a $50 dessert table or $20 tablescape. I was encouraged to use what I have, borrow, and get creative! I did the $50 Dessert table challenge and spent $43.93…woohooo!! 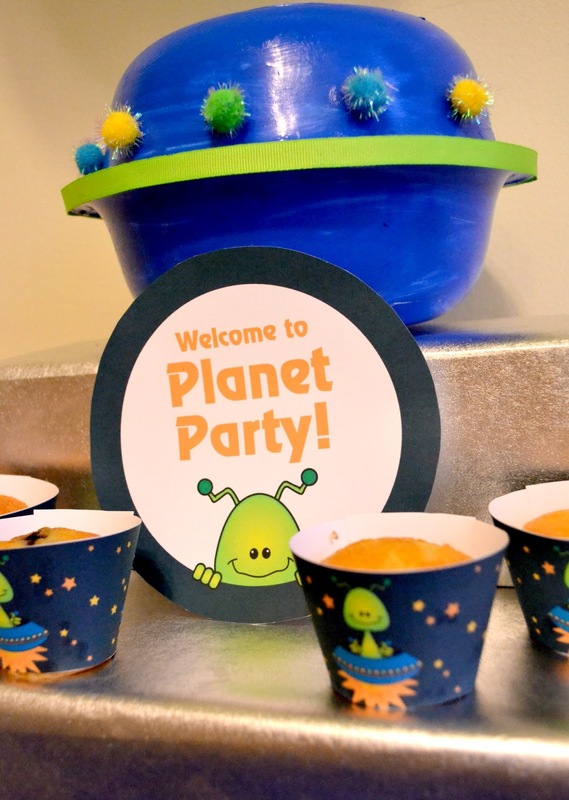 I shopped for food at my favorite grocery store (Trader Joe’s), got my crafts at the Dollar Tree Store and Jo-Ann’s…and used left over party supplies from Caiden’s Airplane party. I wanted to do something fun and different for this challenge. I managed to get crafty with paper cups and I made a spaceship! 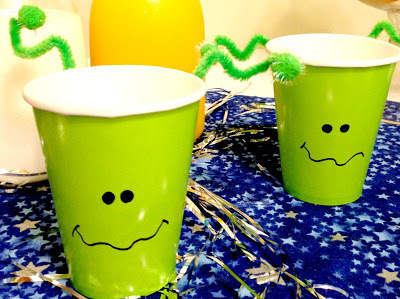 With green paper cups, I drew faces to match Spaceships and Laser Beams’ Alien collection and added green pipes and poms for the antennas. 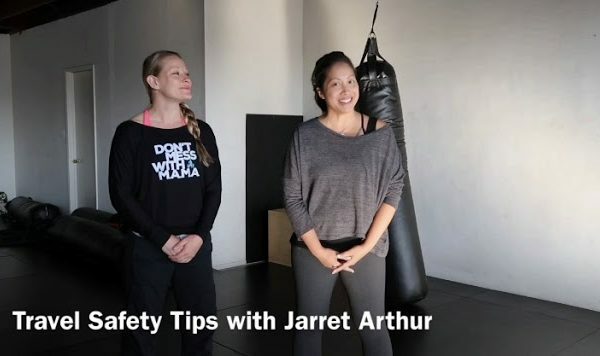 …I wasn’t sure if it looked like one, so I asked several kids for their opinions! especially since Caiden loves everything that has to do with Space! Check out the rest of the pics on Spaceships and Laser Beams’ blog….here!